While I was in NYC for fashion week, my roommates were appalled that I hadn’t made the switch to a natural deodorant and proceeded to tell me the negative effects of most deodorants. I had NO. IDEA. But does natural deodorant actually work? What does it smell like? Does it really last? I was a little skeptical to say the least. So I recently shared on Instagram stories that I was on a quest to find the best natural deodorant and asked for your suggestions. I had a number of responses and was totally blown away by the amount of natural deodorant users — I guess I’m late to the game here! The Kopari Coconut Oil Deodorant was the most suggested, so I figured I would start with that! 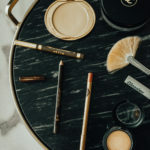 I was already familiar with the Kopari brand and absolutely love some of their products like the organic coconut melt, coconut crush scrub and their coconut lip glossy. Prior to this quest, what I didn’t know was that Aluminum (found in most deodorants) blocks your sweat glands and ultimately prevents you from sweating. This sounds great and all, but sweating is your body’s natural way of expelling toxins. So I love that the Kopari deodorant is clean, non-toxic, aluminum & baking soda-free. But does it actually work?! It truly smells delicious, just like the rest of their products. But I wish you could smell it through the screen, because it’s divine! The formula is invisible, so it won’t stain your clothes and it doesn’t leave that gross white residue that other deodorants do. Coconut Oil ingredient: naturally antimicrobial and anti-bacterial. This super oil nourishes, hydrates, and protects even the most sensitive skin. 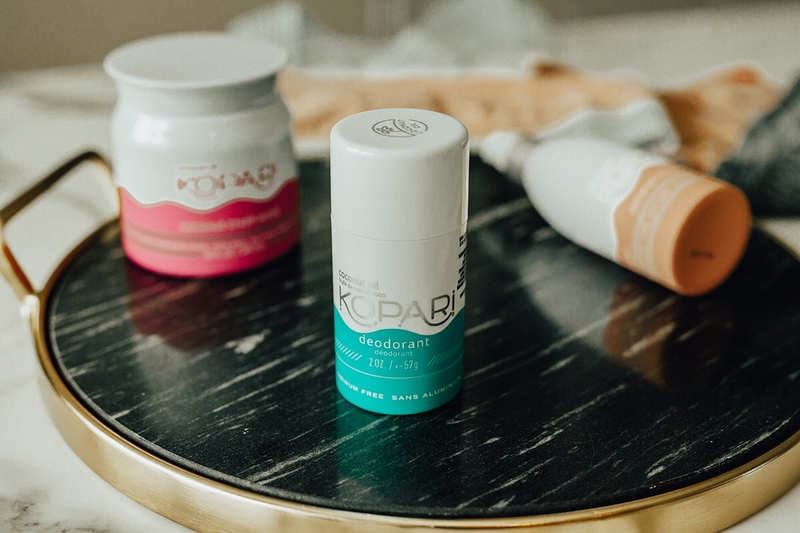 If you’re looking to explore natural deodorant too, you can try Kopari for 25% off your first deo purchase and/or first deo subscription with the code SoSage25! 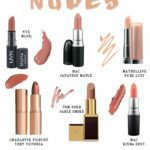 This post is brought to you in collaboration with Kopari Beauty. All thoughts and opinions remain my own.